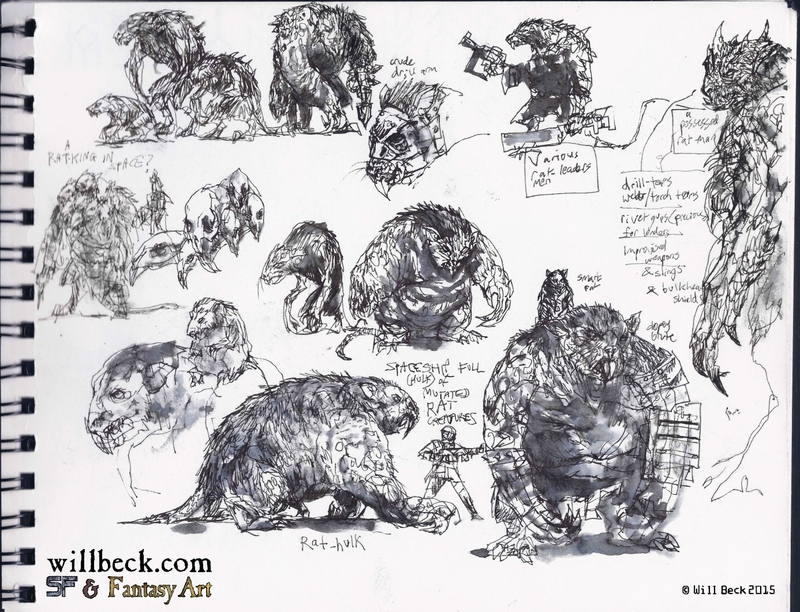 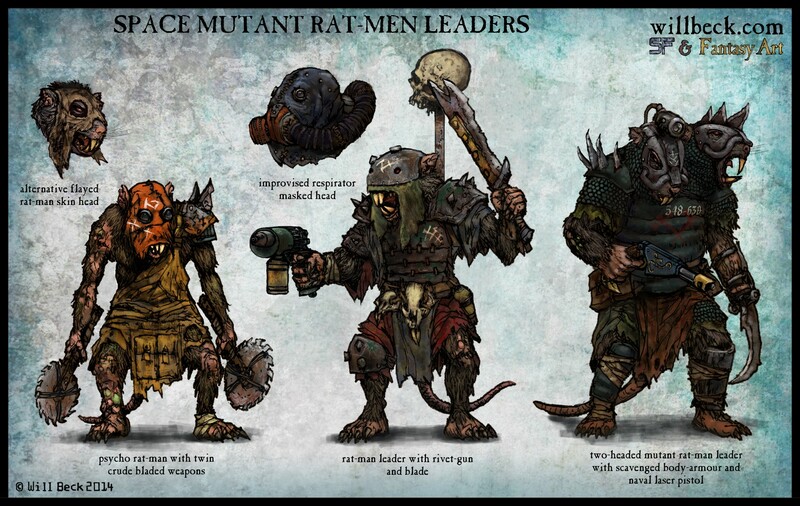 The large rat-hulk thing on the left with his midget controller (maybe they’re twins?) 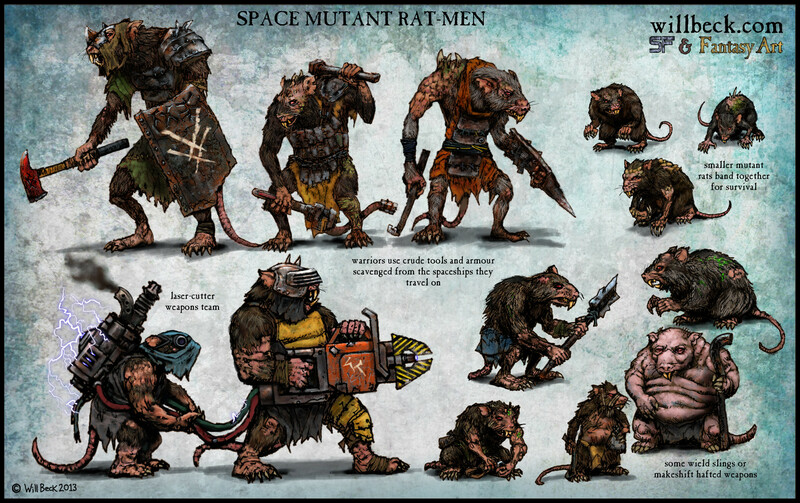 are kind-of like a space mutant rat-men version of Pinky and The Brain (wikipedia entry for Pinky and the Brain). 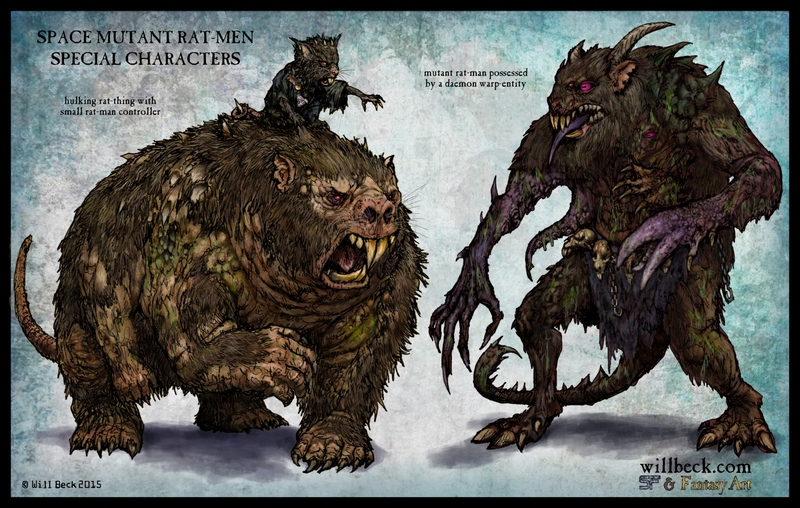 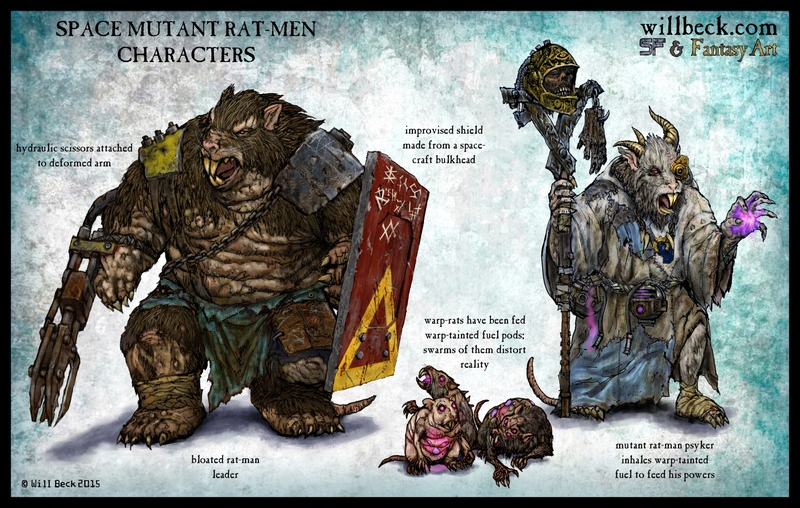 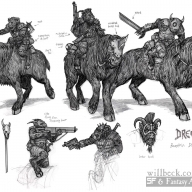 The other creature is a Rat-man who has been possessed by a warp-entity and his form has mutated (Bestial face: Goat, Teleport, Cloven Hooves, Scorpion Tail,Temporal Instability, Acid Excretion, Suckers, Growth X2). 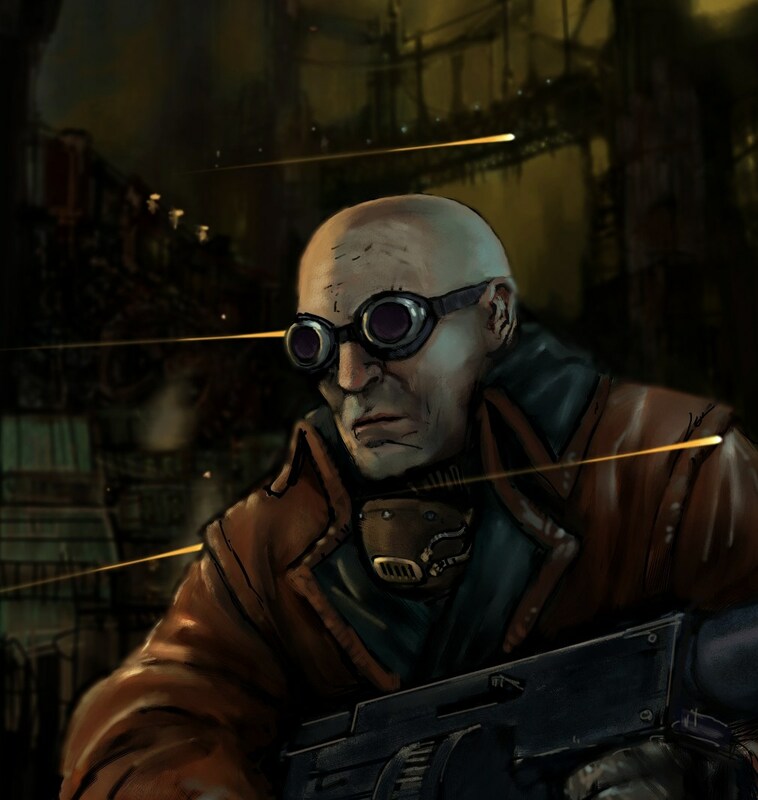 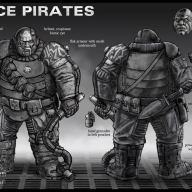 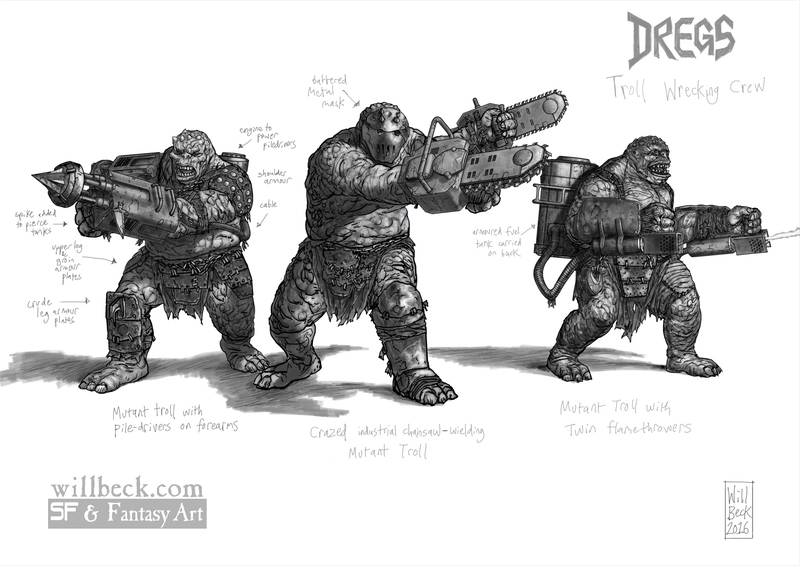 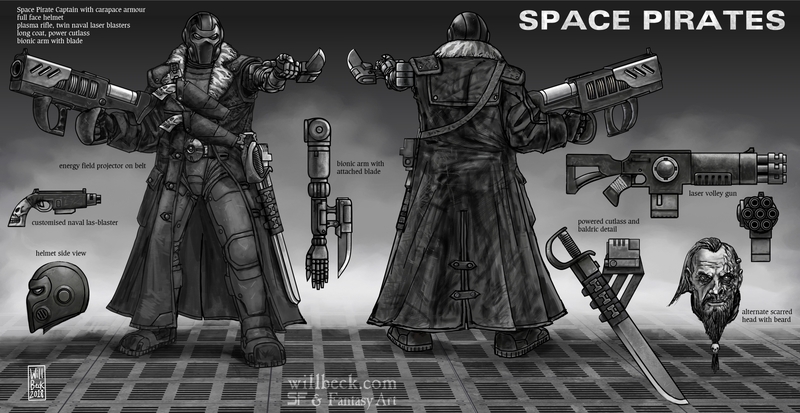 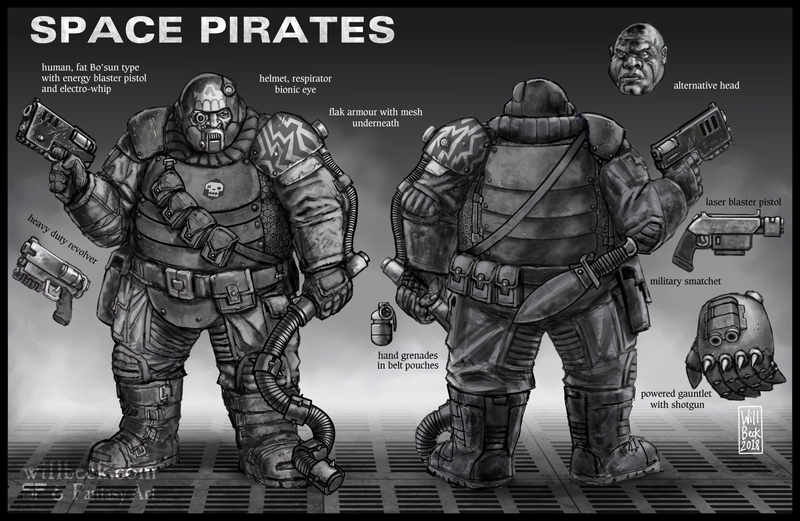 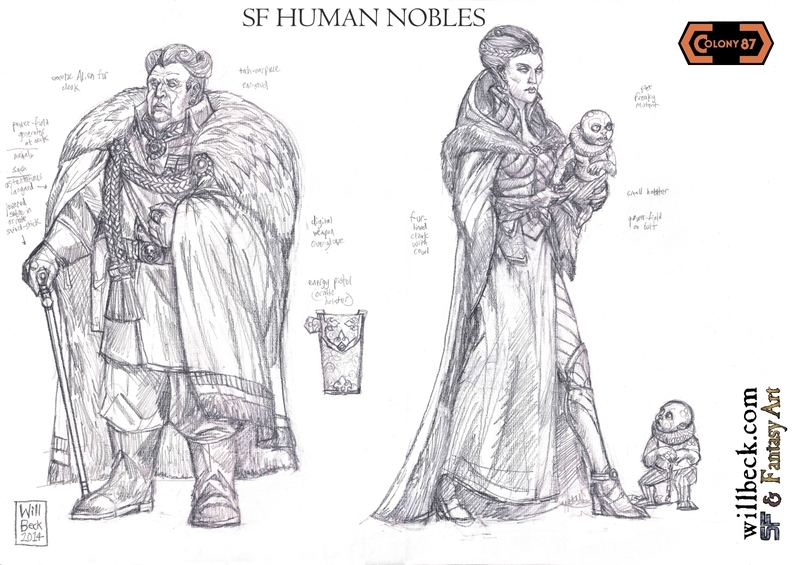 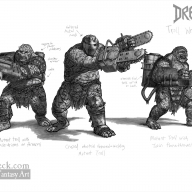 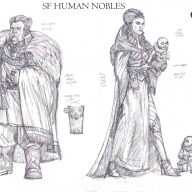 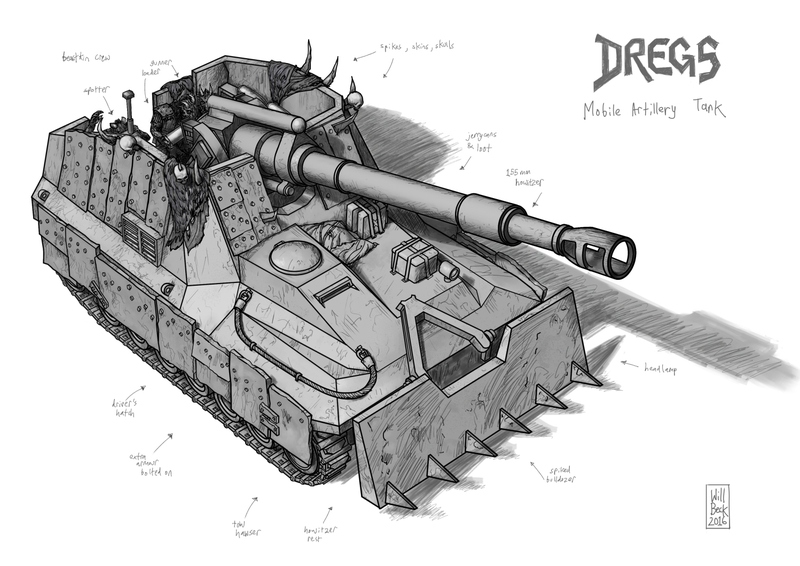 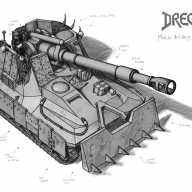 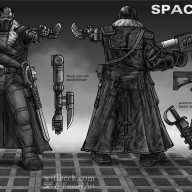 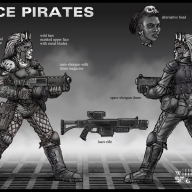 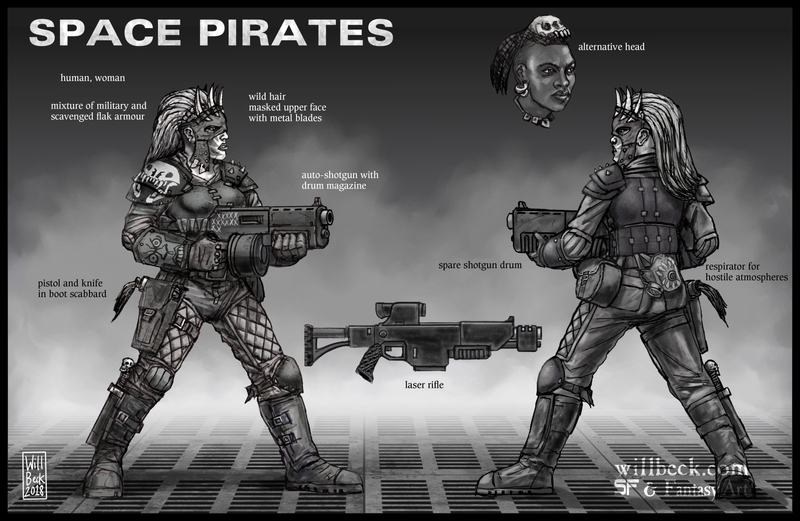 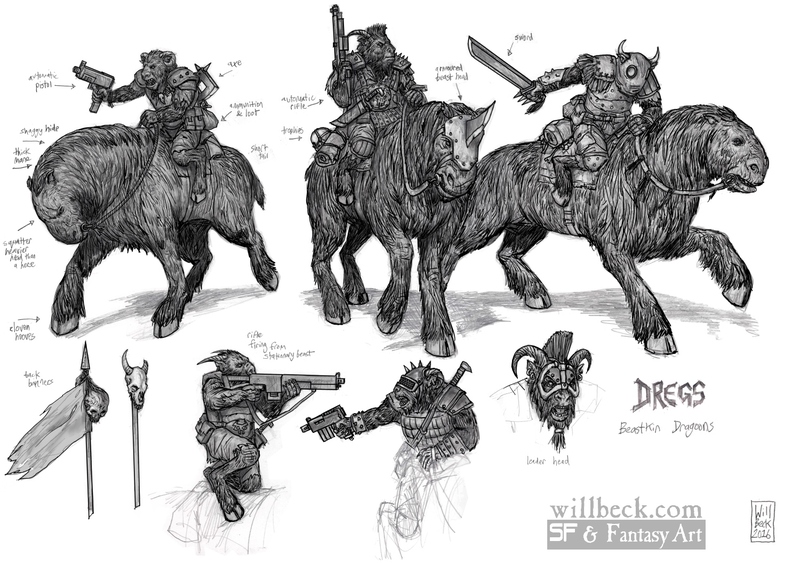 This is fan art based on Games Workshop’s intellectual property.